The Rock River Coalition supports three main types of stream monitoring programs. 1. Baseline Monitoring: Many streams within the Rock River Basin lack sufficient water quality data to assist with decision-making and resource assessment. 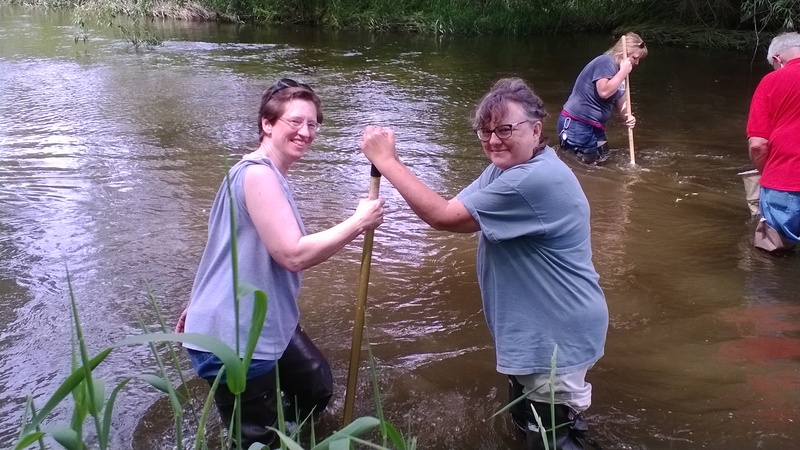 Volunteers participating in our baseline monitoring program help to expand our understanding of stream health for streams previously not included in any state or county agency water quality assessments. These volunteers learn how to use simple techniques to measure dissolve oxygen levels, water temperature, water clarity, and water velocity. 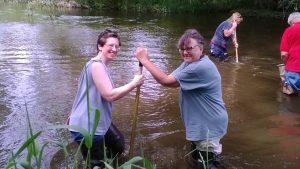 Volunteers also learn how to collect and identify macro-invertebrates – or aquatic insects that are visible without the use of magnification. Volunteers are visit their stream site once month from April to October. Volunteers enter their own data into the user friendly database hosted by the WDNR called the Surface Water Integrated Monitoring System. The Rock River Coalition volunteer stream monitoring coordinator provides assistance with data entry if needed. 2. Trends Monitoring: Everything that happens on the land within a watershed impacts stream water quality. Analyzing data from a single water monitoring event is insufficient if we want to understand and characterize the health of our streams over time. Therefore, the Rock River Coalition works with partners and volunteers to establish long term stream monitoring sites throughout the Rock River Basin in order to better understand how our actions on the land impact stream health. Volunteers involved in this program are trained to use equipment typically used by stream biologists. Volunteers measure dissolved oxygen levels with electronic probes. Volunteers help to collect continuous stream water temperature using monitoring devices called thermistors. Volunteers also measure water clarity with transparency tubes. 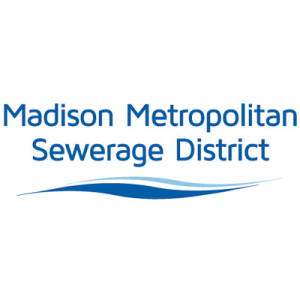 Volunteers are requested to enter their own data into the user friendly database hosted by the WDNR called Surface Water Integrated Monitoring System. The Rock River Coalition stream monitoring coordinator will assist you with data entry as well as review volunteer data before it becomes publicly available. 3. 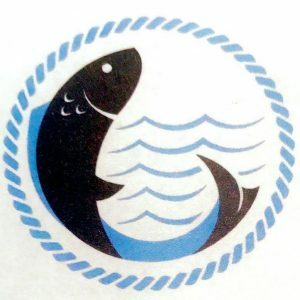 Specialized Monitoring: Over the years, the Rock River Coalition has collaborated with partners to conduct special water quality research projects. Previous projects have included crayfish monitoring, mussel monitoring, E. coli bacteria monitoring, and road salt monitoring. These special projects are depended on funding and particularly requests. Currently, the Rock River Coalition has received funding from the Yahara River Watershed Improvement Networks (Yahara WINs) to create a robust citizen stream monitoring program in support of the Watershed Adaptive Management effort underway in the Yahara River watershed. Volunteers are collecting nutrient samples as well as baseline and trends water quality information.